Designer dresses from just £99. 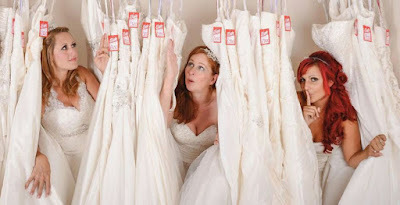 This Sunday at The View Hotel, Eastbourne you can find our exclusive designer wedding dress sale. With top designer names, such as Mark Lesley, Sweetheart, Sincerity Bridal, Romantica of Devon, Hilary Morgan, Alfred Angelo, Forever Yours and more, and prices from as low as £99. These prices are limited for this day only so don't delay, and register for your free tickets now. We look forward to seeing you this Sunday at 11am.